There are no bones about it: arthritis of the spine is a tough break. The condition is painful and it often takes a combination of treatments to ease the pain. 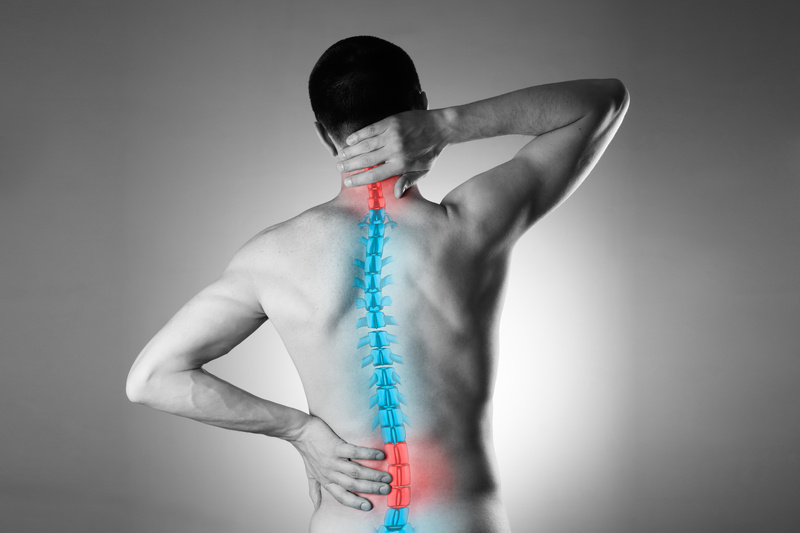 If you’re suffering from arthritis of the spine, we have good news! There are easy exercises you can do at home to reduce your pain. Some of them focus on good posture, and others focus on strengthening your core. All of them, however, can lead to a healthier life with less pain. The right exercises can reduce the pain of arthritis at any stage. Whether it’s just begun or you’ve spent years trying treatment after treatment, these exercises can complement any treatment plan. This isn’t an exercise per se, but it can make a world of difference. You’ll also use it in other exercises, so it’s important to learn. To improve your posture, imagine an invisible string holding you up. It starts at your hips and runs up through your spine and comes out the top of your head. Be sure to keep your shoulders down. Practicing good posture helps your arthritis of the spine in several ways. First, it reduces the chances that a spinal misalignment will add to your discomfort. Second, it strengthens your core muscles. These muscles protect your spine, reducing your arthritis symptoms. This exercise builds your back muscles to protect your spine and soothe arthritis pain. To start, stand with proper posture and put your hands at your sides. Your feet should be shoulder-width apart. Without moving the lower half of your body, bend at the waist to one side. Bend as far as you can without pain, although you should feel your muscles stretching. Use your back muscles to stand back up straight. You should perform this exercise ten times on each side. As you get stronger, you can increase the difficulty with weights. Hold a small weight in your hand on the side you’re exercising. It sounds simple, but walking is a great exercise for arthritis of the spine. Walk lightly so you keep the impact on your back to a minimum. Try to walk on surfaces with some “give” like an athletic track. For further improvement, practice good posture as you walk. Gently engage your core muscles throughout your exercise. In fact, you should also mind your posture as you do chores and move around your house. Many people talk about yoga as an exercise plan to reduce arthritis. While it can be effective, it tends to put more pressure on your joints than people expect. Even beginners’ yoga can also be too much of a challenge for some people. Try tai chi instead. Tai chi is an exercise form that’s gentle on your joints. It focuses on slow movements that stretch your muscles and improve your balance. Depending on how much guidance you want, you can find tai chi classes in most towns. If you prefer to try it at home, there are plenty of tai chi videos on YouTube. Look for routines that are designed for arthritis relief. You might remember planking as an internet trend from several years ago. People would take pictures and videos of themselves laying straight like a board in crazy places. The planking we’re talking about, on the other hand, is a type of exercise. Start by getting on the floor on your hands and knees with your back straight. If you’re familiar with yoga, this is the tabletop pose. Be sure to use a yoga mat or find another way to cushion your knees. From this position, straighten one leg and lift it so it forms a straight line with your back. Keep your head facing forward. Hold this position for six seconds before putting your leg back down. Do this for ten reps on each side. As you get stronger, you can increase the difficulty. While you extend one leg, try extending the opposite arm straight forward. You can also start holding the position for longer. A stability ball is a large inflatable ball, usually about the height of your knee. You can use it for many types of exercises, but this one is great for people with arthritis. Sit on the ball with your feet flat on the floor. Lay back until your back is supported by the ball at around a 45-degree angle. You might need to walk your feet forward t reach this angle. From this position, use your abdominal muscles to lift your upper body. It’s as if you’re doing the second half of a sit-up, and it’s easier on your back than laying on the floor. Do as many of these half crunches as you can, increasing the number as you get stronger. This stretch targets your back in a direct, easy way to relieve your arthritis pain. Stand with food posture with your feet shoulder-width apart. Bend your arms and hold them out with your palms facing forward. Your arms should form a “W” shape. In this position, squeeze your shoulder blades together as much as you can without pain. Hold this stretch for three seconds before returning to your original position. Repeat the exercise ten times. As you get stronger, you can increase the holding time or the number of repetitions. To do a pelvic tilt, lay on the floor with your knees bent like triangles. You’ll look like you’re about to do a sit-up but your arms are at your sides. Use your abdominal muscles to tilt your pelvis toward your head without leaving the floor. You won’t see much movement but you’ll feel your core muscles engaging. Repeat this exercise ten times. Arthritis of the spine doesn’t have a one-and-done treatment method. It’s a matter of staying on top of your condition and finding the combination of treatments that work for you. Any and all of the exercises above can complement almost any medical treatment. If you’re looking for more direct treatment options, schedule an appointment with our spinal surgeons.